When it’s your first time to be a family caregiver, try not to be intimidated by the task. You have much help around you and that includes our team. 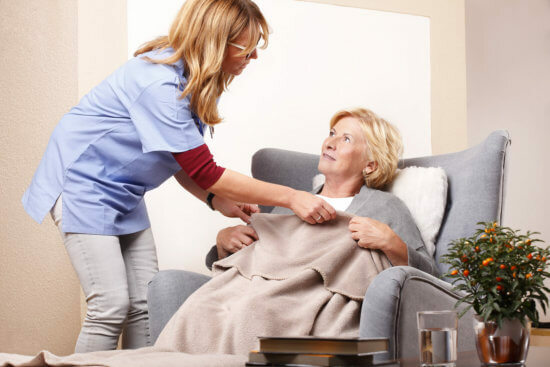 As your trusted provider of quality In Home Elderly Care in Georgia, let us inspire you in this fulfilling role with these tips. Take your time in caring for your loved one.Do not rush the feeding, bathing, or dressing. See it as an opportunity to enjoy your time with your loved one while at the same time gaining the opportunity to perceive what they truly need. Learn to sense the needs of your loved one even when they’re unable to say these. Along with that, maintain the willingness to rush to their aid when they need it. If their care needs also change, be flexible enough to adapt to these changes so their overall well-being can be attended to. Always go beyond what is expected of you in every chance you get. Show compassion in your every act of service because your loved one will need this. If you need to make background research of your loved one’s condition, then, by all means, do it so you can provide better care. When providing Senior Care Services, keep in mind that your loved one is a person and not a responsibility. Achieve this thought by engaging them in quality conversations, patiently listening to them, and accepting their life advice. As you care for your loved one, remember that you also have the rest of your family. Lest you think that your time is being competed for, find a way to take some time off the caregiving role so you can rest, relax, and spend time with your other family members. Receive feedback about your service even if they seem to be insensitive or hurtful. Take these insights as ways to help you grow to become a better family caregiver. Remember to relate with your loved one as you care for them. See to it that you cheerfully greet them, speak well of them, and think good of them. This way, you can keep them in good thoughts. Keep in mind the common values that you share with your loved one so that you can show it in the quality of your care service. As a provider of exceptional Senior Home Care Services in Georgia, we also strive to live out this principle at all times. When you can, get yourself trained for the caregiving role. You can do online researches or enrol in reputable healthcare training facilities to increase your caregiving skills. Take time to ask your loved one if they’re satisfied with your care. This can give you a gauge of what you should maintain and improve on when it comes to caring for them. When it’s time for you to tap outside help in caregiving, our team at Abundant Life Assisted Services is ready to answer your call. This entry was posted in Elderly Care and tagged Caregiver, Home Care, Senior Care. Bookmark the permalink.